It's our kids turn! I know Sofi will be excited with this since she loves to draw and make arts using crayola. 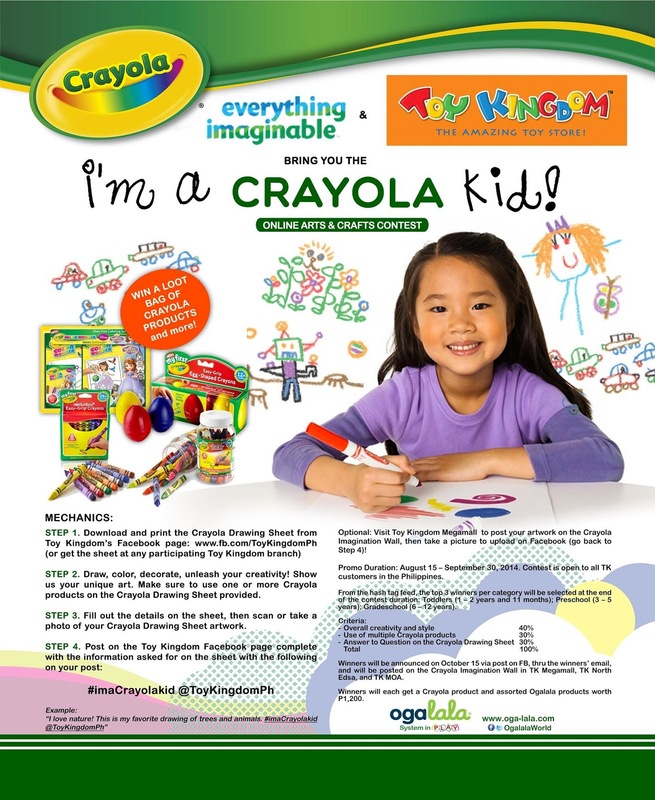 And Crayola is launching the #ImACrayolaKid @ToyKingdomPh Online Arts & Crafts Contest. No matter what our kids’ interests are, they can always express themselves on paper with crayons, markers, glitter, glue, cutouts, sprinkles, smudges, doodles, whatever they fancy! Up for grabs are awesome Ogalala goodie bags with Crayola items and more. They're also picking out 3 winners per age category starting with 1 year old, so we'll get to see the amazing imaginations of toddlers too!